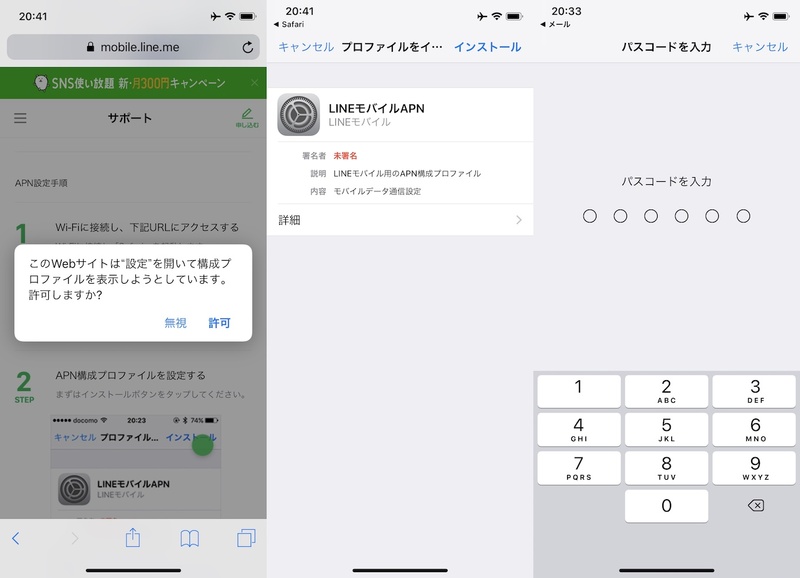 2019年後半リリースのiOS 12.xではiPhoneへの構成プロファイルのインストール時に設定アプリからの管理が必要となるもよう。 | AAPL Ch. We'll keep this blog post updated as we know more! 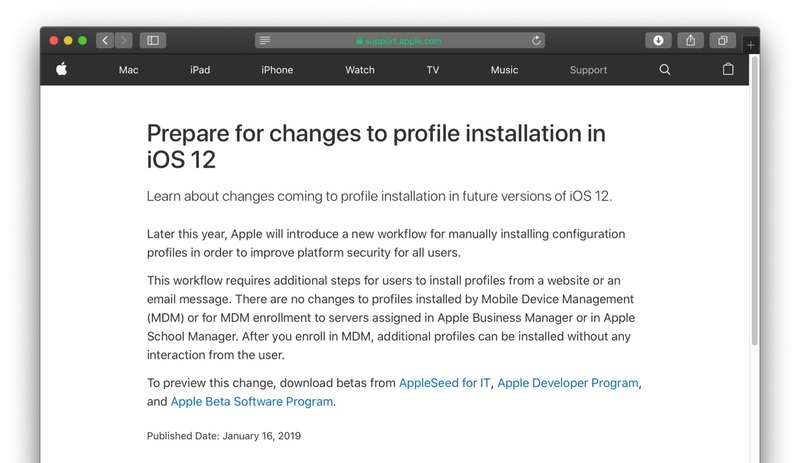 Apple has announced that there are changes coming in future versions of iOS 12 for manual enrollment into Mobile Device Management (MDM) – https://support.apple.com/en-us/HT209435. We think this change will likely come in the Spring 2019 release of iOS from Apple. Manual navigation to Profiles section of Settings app (Settings → General → Profiles) Note: This section of the Settings app may be named differently depending on profiles currently on the device. Once a Management Profile is installed, the name of the section changes to “Device Management”.